5-pc Kitchen Knife Set | Dual Core Handle(KET-122) - Keywood International Inc. The dual core handle is made of stainless steel and ABS material. The forged blades are with rust resistance for long time use. 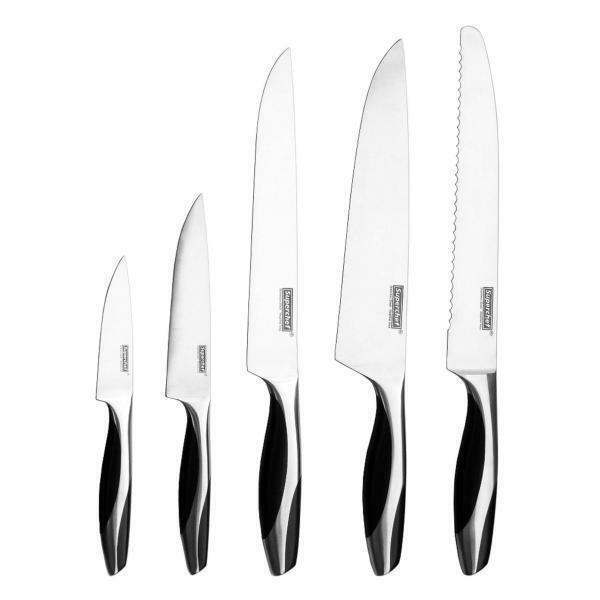 This 5-pc knife set is perfectly suited for all purposes. The set consists of: chef's knife, carving knife, bread knife, utility knife, and paring knife. Fully forged knifes with stainless+ABS handle.